Marie-Astrid was born in Paris, France where she began dancing in a private dance school before continuing to the Higher National Conservatory of Music and Dance in Paris. She was a member of the Junior Ballet of Paris and danced in works by Jiri Kilian, William Forsythe, Larry Keigwin, Christopher Hampson and Annabelle Lopez- Ochoa. 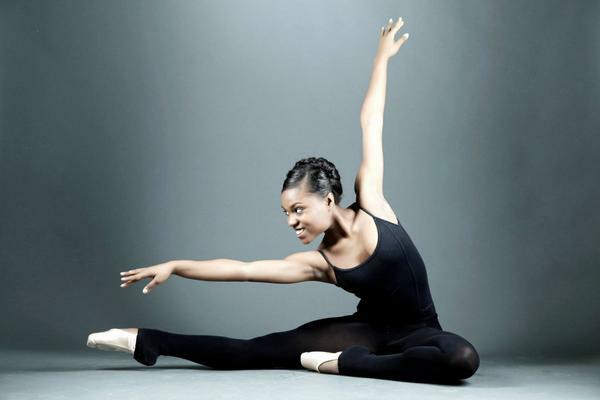 She continued her training as a scholarship student at Alvin Ailey School in 2012 and was invited to dance in Revelations for Judith Jamison’s (Artistic Director of Alvin Ailey American Dance Theatre) birthday. Marie-Astrid joined Ballet Black in September 2014. In the summer of 2015, Marie joined Phoenix Dance Company and had the opportunity to dance in Tearfall and Melt by Artistic Director, Sharon Watson as well as Mapping (Darshan Singh Buller), Undivided Love (Kate Flatt) and Until Without Enough (Itzik Galili). Marie returned to Ballet Black in September 2016.